48. אֶלָּא אֵילוֹ שֶׁל יִצְחָק לְהַקְרִיב אֶל פָּרָה, שֶׁנִּזְכָּר פַּעֲמַיִם בַּכָּתוּב. אֶחָד שֶׁכָּתוּב, (בראשית כב) וַיִּשָּׂא אַבְרָהָם אֶת עֵינָיו וַיַּרְא וְהִנֵּה אַיִל, הֲרֵי אֶחָד. וְאֶחָד, וַיֵּלֶךְ אַבְרָהָם וַיִּקַּח אֶת הָאַיִל, הֲרֵי שְׁנַיִם, וַיַּעֲלֵהוּ לְעֹלָה. וְעַל כֵּן אַיִל לְעֹלָה תְּמִימִם, שְׁנֵי אַיִל, שֶׁהוּא שְׁנַיִם. וְעַל כֵּן שָׁנִינוּ גְּבוּרוֹת, וּמֵהֶם נִפְרָדִים לְכַמָּה אֲחֵרִים. 49. וְאֶל בְּנֵי יִשְׂרָאֵל תְּדַבֵּר לֵאמֹר קְחוּ שְׂעִיר עִזִּים לְחַטָּאת. עֵגֶל לְחַטָּאת הָיָה צָרִיךְ לִהְיוֹת, כְּמוֹ שֶׁהַכֹּהֵן. אֶלָּא יִשְׂרָאֵל הֲרֵי קִבְּלוּ עֹנֶשׁ, וְעַל כֵּן לֹא כָתוּב בָּהֶם עֵגֶל לְחַטָּאת, אֶלָּא עֵגֶל לְעוֹלָה. מָה הַטַּעַם? מִשּׁוּם שֶׁכָּל אֵלּוּ שֶׁחָטְאוּ בוֹ, קִבְּלוּ עֹנֶשׁ, בֵּין בְּדִבּוּר, בֵּין בְּמַעֲשֶׂה, בֵּין בַּעֲבוֹדָה. 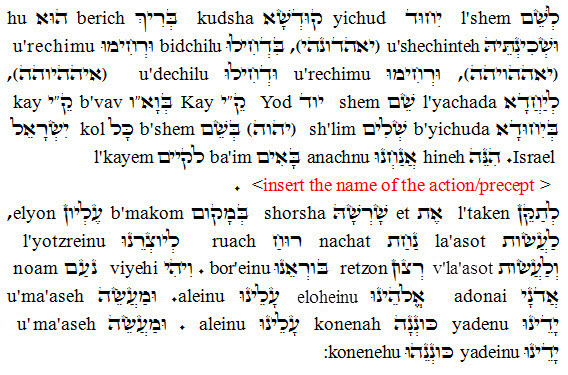 וַאֲפִלּוּ אֵלּוּ שֶׁלֹּא עָשׂוּ דָבָר, אֶלָּא שֶׁהֶעֱלוּהוּ בִּרְצוֹן לִבָּם לַעֲבֹד אוֹתוֹ, נֶעֶנְשׁוּ, כְּמוֹ שֶׁכָּתוּב (שמות לב) וַיַּשְׁק אֶת בְּנֵי יִשְׂרָאֵל. אֲבָל כָּל אֵלּוּ שֶׁהֶעֱלוּ אוֹתוֹ בְרָצוֹן שֶׁלֹּא לַעֲבֹד אוֹתוֹ, אֶלָּא שֶׁהֶעֱלוּ גָוֶן שֶׁל רָצוֹן מִמֶּנּוּ – כָּאן נִטְהָרִים, וּמַקְרִיבִים אוֹתוֹ לְעוֹלָה וְלֹא לְחַטָּאת. After instructing Aaron to bring offering for his cleansing Moses asked him to bring offering for all the children of Israel. The Zohar explains that all the people were considered impure because of the sin of the Golden Calf. It didn’t matter if they were active participants or didn’t act but had a thought about taking part in the sin. The offering is of a male goat and a calf and a lamb purified them all. This Zohar teaches us about the responsibility we have for each other. When we sin we affect the environment and people around us. Negative thoughts can also add impurities because thoughts vibrates in a specific frequency that affects the environment. Our prayers have the aspect of offering. The sages prepared almost all the prayers in plural form and ask us to start the prayers by meditating to be with all Israelites. When we join the larger group, we have better force to go higher with our prayers and be heard. Prayers that are based on the desire for the self alone would not be answered. Before any meditation or Zohar reading/scanning, meditate to be with all the people who read Zohar and draw the light for all Israelites. Before any spiritual action where we expect to draw light we precede the action/meditation with these words that prepare our vessel to join all Israelites. 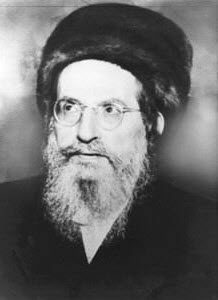 For the purpose of unifying the Holy one blessed be He and the Shechina (יאהדונהי, Zeir Anpin and Malchut) , with Awe and Love (יאההויהה, Zeir Anpin and Keter), Love and Awe (איההיוהה, Keter and Zeir Anpin), in complete unification (יהוה, YHVH the simple form that includes everything) on behalf of all Israelites. Here we come to establish a connection with this action to its supernal and spiritual root, to give gratification to our maker and do the will of our Creator. And the beneficent of our God be upon us. And the work of our hands establish our connection below and our action connect to him (YHVH).